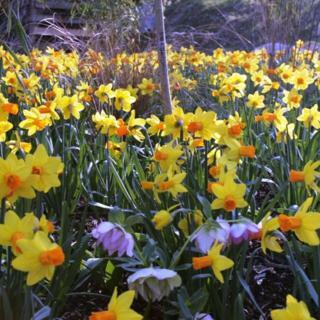 Use this gift voucher to attend gardening courses at Hunting Brook Gardens, run by horticultural experts on a variety of garden topics, or have a gardening expert visit your home for a consultation on your garden. Hunting Brook is the home of Jimi Blake, a noted plantsman and designer. In addition to opening his gardens to the public, Jimi also coordinates a series of courses by a wide range of gardening related topics. These classes are designed to be enjoyable, informative, practical in nature and are taught by enthusiastic instructors who know and enjoy their craft. All courses are held at Hunting Brook and include morning coffee/ tea and a gorgeous home cooked lunch. You can order any of the Hunting Brook gift vouchers we have listed on AllGifts.ie, or you can order a Hunting Brook Gardening Voucher to the value of your choice on AllGifts.ie. Take Dublin Bus number 65 from Eden Quay to the Tramway Treasures Antique Shop, opposite the turn for Manor Kilbride. 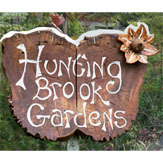 Follow the signs for Hunting Brook Gardens. Attend gardening classes run by horticultural experts on a variety of garden topics. 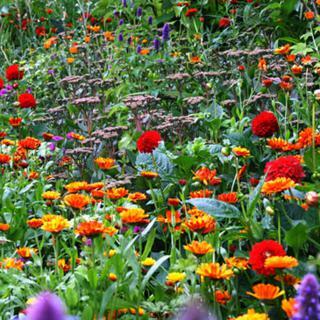 An opportunity to find your inner gardener and to relax while in a peaceful environment. Hidden in the foothills of the majestic Wicklow Mountains lies Hunting Brook Gardens, a sanctuary from the hustle and bustle of the modern world. Bright colours; lush, verdant foliage; shady glades and inspiring designs welcome the visitor to this exciting and evolving garden. The sound of the Hunting Brook running through the glen mingles with bird song and the rustle of leaves to give the sense of being ensconced in a remote idyll while being within a short drive of Dublin. by a wide range of gardening related topics . These classes are designed to be enjoyable, informative and, in many cases, practical in nature and are taught by enthusiastic instructors who know and enjoy their craft. All courses are held at Hunting Brook and include morning coffee/ tea and a gorgeous home cooked lunch. How it Works: Use this gift voucher on AllGifts.ie to make a booking with Hunting Brook Gardens. Or you can swap this voucher for any other gift or voucher listed on AllGifts.ie. Simply follow the instructions at the bottom of your voucher.